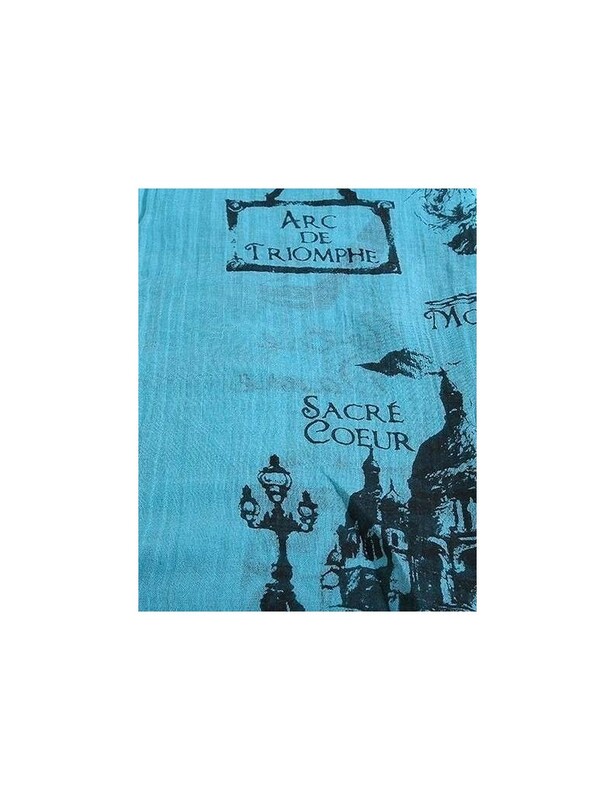 A lovely Paris Architecture scarf - Eiffel Tower, Arc De Triomphe, Sacre Coeur prints adorn this scarf. 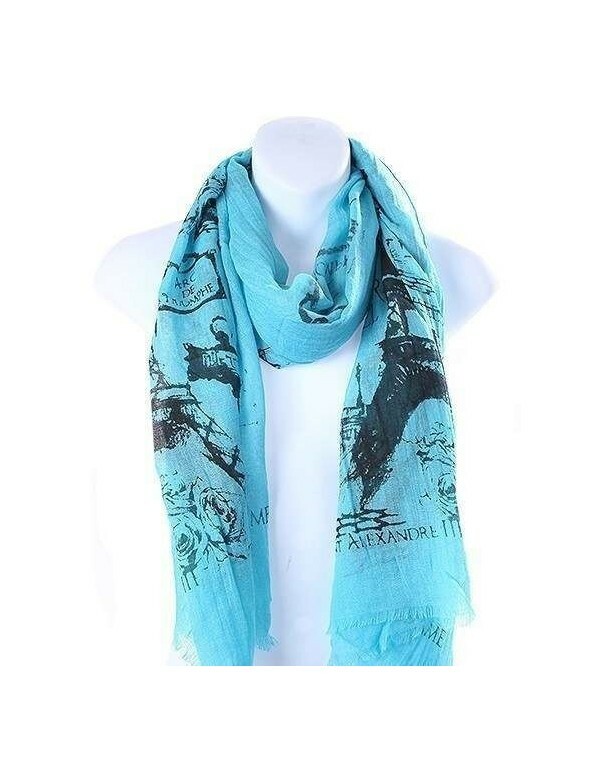 Its subtle colours are very flattering and can be worn with many other colours. Team it with a basic top to really show it off. 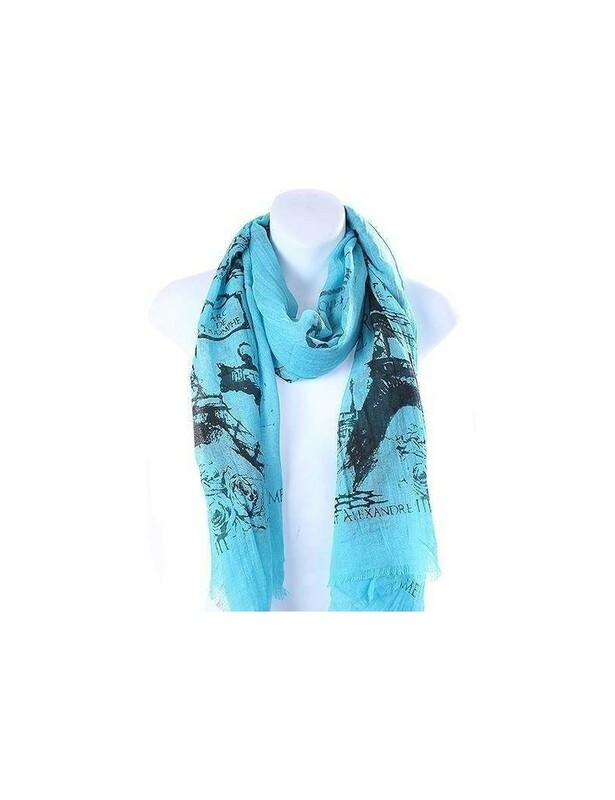 It would make a great gift for a girlfriend or a much admired treat for your self.